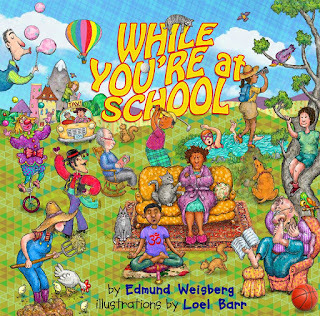 Edmund Weisberg is the author of the new children's picture book While You're at School. He has worked for Greenpeace, the International Clinical Epidemiology Network, the American Association for Cancer Research, and the University of Pennsylvania. 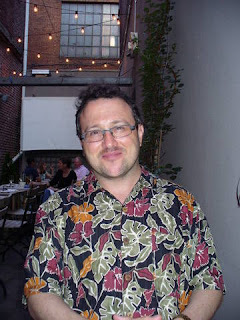 His work has appeared in Voices in Bioethics and Impakter Magazine. He is based in Philadelphia. Q: How did you come up with the idea for While You’re at School? A: Faithful to the book’s introduction—and as my mother has relayed to me through the years—I did ask her when I returned home from kindergarten one day what she did while I was in school. Her cherubically playful, sarcastic reply indicated that she waited all day for me on our living room couch while I was at school. What else was there to do? These details remained solely part of a fun family anecdote for years until I started writing children’s books. The core meaning of that conversation with my mother just struck me as a worthy vehicle for exploring children’s early separation anxieties in a facetious as well as realistic way. I might not have been thinking along those lines if I hadn’t already written a couple of unpublished children’s books, though. A few years earlier, a friend of the older of my two sisters mentioned that she completed a series of illustrations and wondered whether they told a story. My sister urged her to send the illustrations to me; I thought they told a story, so I wrote it out. We shopped it around, with some decent leads and praise for the text. This whole process helped to open the floodgates for me, as I reworked that story, wrote two sequels, and felt inspired to turn my mother’s retelling of our conversation into While You’re at School. Q: What was the process of collaboration like between you and illustrator Loel Barr? A: Electric. And electronic. We hadn’t seen one another in more than 15 years. We communicated frequently through email and collaborated well, working through occasional miscommunications. It was especially satisfying when we each traded ideas about the text and illustrations and saw each other’s comments influence the final version. 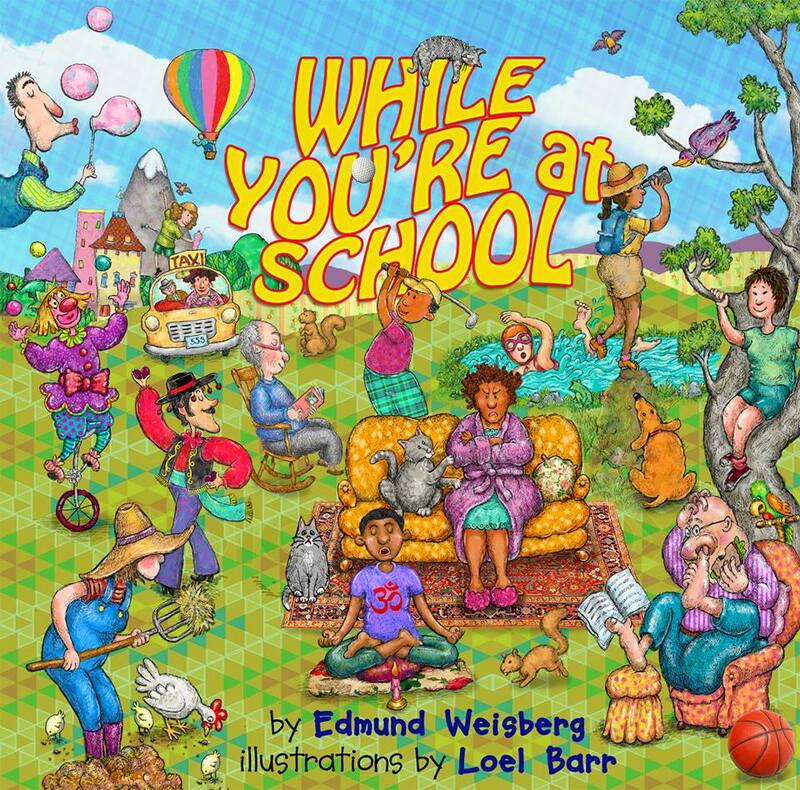 For instance, the working title of the book was “While You Are at School.” I had been so focused on having skirted disaster related to the sound and possible waggish response to the original title (“While You’re in School”—“you’re in” sounds like “urine,” after all), I had unconsciously backed away from the more comfortable, vernacular, and potentially joke-proof adjustment that Loel later insightfully suggested. Q: Can you describe how the book came to be? A: I wrote the first draft of the book in 2001, and asked Loel for a sample illustration. Her drawing—an edgier version of the penultimate illustration that appears in the book—convinced me of her clever artistry, and from then on I was wedded to the idea of collaborating with her. In the ensuing years, I workshopped and sent the manuscript to publishers, and occasionally attended children’s writing conferences in Philadelphia, New York, and Washington, D.C. Although I wrote an alternative non-rhyming narrative version and occasionally tweaked the original, I didn’t devote much time to getting it published in the last few years. About a year and a half ago—as I realized how much crowdfunding had changed the world—it dawned on me that I might be able to build a community of backers to help fund Loel’s work. I launched a Kickstarter campaign in October 2015 and more than 110 supporters [Editor's note: including me!] made it a success a month later. Loel and I worked together in the past year to realize the vision, I set up a publishing company, and self-published in October 2016. Q: How have readers responded to the book so far? A: Positively, and emphatically at that, I’m happy to report. I’ve heard from several people who have stressed how much they “love” it. Of course, this is a self-selected sample of readers, but I’d select that sample any time. It occurs to me that, at least in these early days since the book was released, the feeling for me is almost akin to having a dog. Not unconditional love per se, but in the same way that dogs make every day better, I’ve been at the receiving end of passionate, affirmative reactions when I least expect it and they elicit an automatic boost to my day. And I can’t help loving the stories of reader referrals, hearing that my partner Sara’s boys and my college roommate Dave’s son excitedly announced their intentions of taking the book to school, and learning that children are insisting on having the book read to them every night. I’m told by reliable sources that that’s how I consumed Green Eggs and Ham in my early childhood… every night for weeks on end. A: Too much as usual, as many folks in my life would say. Besides my writing/editing role at the University of Pennsylvania, I’m working on several essays on the environment, climate change, and bioethics. Far afield from that material—and perhaps to keep myself relatively sensible in an irrational world—I’m putting the finishing touches on two books of limericks, which I don’t recommend for children of the non-adult variety. Of course, not all adult children will find them appealing, either. In the children’s realm, I have an anti-bullying story that is ready for editing, and stories with themes on jealousy, greed, honesty, coming into one’s own, and other topics are in various stages of development. I hope they get to see the light of day. A: I’ve long paid attention to politics and issues of justice at many levels. This has left me exceedingly cynical in my day-to-day life. The fact that I’ve clung to my idealism surely contributes to a struggle to balance my appreciation for social and cultural strides that we’ve made while also tragically pushing our species and many others to the brink of oblivion. It is also abhorrent to me that native populations, women, racial, sexual, gender, religious and other minority groups, and the poorest living in developed and less developed countries have consistently suffered varying but salient oppression through the course of the human condition. I was a child of the 1970s. Some of the art that created an impact then and really resonated for me included Marlo Thomas’s Free to Be You and Me, Dr. Seuss’s The Lorax, and the “Keep America Beautiful” campaign depicting a Native American crying over modern pollution. I am disappointed, to say the least, that the lessons from such stories have not been as pervasive as warranted. Put simply, despite a life devoid of much of the worst of what the world has to offer in a material and spiritual sense, my global outlook is relatively dark. I offer this glimpse into my psyche, I suppose, to underscore how truly satisfying it has been to evoke smiles of pure joy from those who I have seen react to While You’re at School and others who have shared their feedback. The unrestrained smiles and words like “glorious” and “delightful” buoy my spirits. In that sense, I hope the book is delivering a genuinely reciprocal experience.